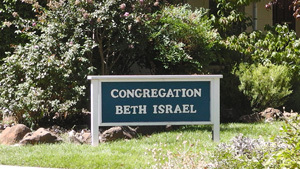 Out of these re-beginnings in 1957, with inspiration from Rabbi Trepp, the congregation was formally reorganized in 1958 as “Beth Israel,” the same name that had been used in 1918. The initial membership was about 15 families. During these renaissance years the congregation met in various locations, sometimes at the Unitarian Fellowship Church on Filbert Avenue, sometimes at the Seydel Building, and sometimes at the Senator Theater on Main Street. High Holy Day observances took place at the Hotel Oaks or at the Knights of Pythias. In 1960, Attorney Mendel Tochterman (grandson of Ricka Ostroski Breslauer) drafted the Articles of Incorporation and Beth Israel was incorporated as a non-profit religious organization. "Congregation Beth Israel" received its charter on January 21, 1961. In that same year CBI's first Bar Mitzvah ceremony took place, for Tracy Norman Puritz, son of Mr. and Mrs. Sam Puritz. Martin London served in the 1970's as both spiritual head and cantor of CBI. Following him, services were led by Shelly Little, a student at Chico State, for one or two years. Following Shelly, Sidney Shnayer and/or David Frankel conducted the services. Besides lay members, the congregation also drew upon visiting rabbis -- generally these were young female rabbinic students from San Francisco. 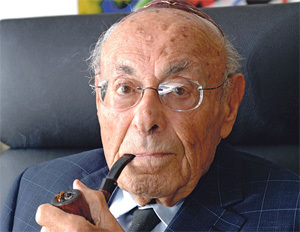 Initially CBI was affiliated with the Reform branch of Judaism. 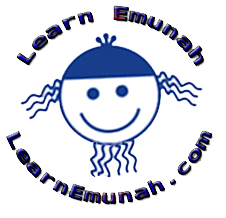 However, in the late 1960's, the congregation broke with the UAHC and has remained unaffiliated with any of the major branches of Judaism. Dr. Leonard J. Kent (Nitsa Schiffman's uncle) spearheaded the movement to purchase our own building. A search by Sam Belmonte (married to Marilynn Snower) resulted in finding the building at Hemlock and E. Fourteenth Streets. A milestone was reached by the congregation in 1969 when, after half a century of sporadic existence, it was able to purchase the current building. This was primarily due to the fact that Jack Rawlins (married to Elizabeth Oser), Dr. Kent's neighbor, loaned CBI the funds to purchase the building from the Salvation Army for a permanent Synagogue –- assisted by ten more individuals donating funds to help accomplish the acquisition. One of CBI's lay leader's husband, Tim Little, brought Headstart to CBI and they remained tenants for about two years. Then, for a period in the 1970's, the building was also used by the Drama Department of Butte College to hold classes and performances. In 1975, the Church of Reorganized Latter Day Saints used the CBI facilities on Sunday mornings. These revenues, and the monies brought in by rummage sales, helped Congregation Beth Israel burn its mortgage in 1975 at a party happily hosted by Sadie Morten, mother of Shelly Little. Members of the congregation did the renovating, working evenings and weekends to turn the building into a synagogue. The Ark is the oldest part of the synagogue, having been used by the congregation in earlier years. Upon re-establishing the congregation, the Torah was brought from San Francisco and presented back to the congregation by Attorney Mendel Tochterman. Dr. Laurence York and his wife Carol, both artists, designed and built handcrafted doors which have since been replaced. The traveling Ark was redesigned and rebuilt by Norman Corwin who, in the year 2016 is also still a member. The Torah table was built by Rene Price's father, Charlie Nichols of Gridley. During the 1970's, Dr. Irv Schiffman and his wife, Nitsa, had the windows on each side of the Ark removed and the back wall paneled with wood. The Ark was re-paneled and Nitsa painted the gold leaf. Sarah Achene and David Halimi were responsible for raising the Bima to its present height. Jess and Rene Price constructed the steps. During the ensuing years, Irv and Nitsa Schiffman were instrumental in getting a new ceiling installed, as well as redoing the walls and flooring. Long-time member Bracha (Beverly) Pence created and made the mosaic over the doors leading into the back yard. No history of CBI would be complete without including the formation of, as well as the contributions of, Haverot/Sisterhood. Haverot started in the spring of 1989 with a Birth of a Sisterhood tea. The name "Haverot" was chosen, as translated from Hebrew it means “women friends”. Haverot began with about ten enthusiastic women and by the spring of 2003 had reached a membership of about 65 women. Haverot/Sisterhood rarely spends money on itself with the exception of the Big Tenth Anniversary Blowout in the spring of 1999. Haverot was formed, not only for the Women in Judaism connection, but for the well-being of the entire congregation, with an emphasis on focused outreach programs. In the past, outreach has benefited Catalyst, victims of the Oakland Hills fires, and the synagogues in Sacramento following the fire bombing, among others. Haverot has aided the CBI Youth when they took a tour of Israel and has donated monies to the Religious School program and teachers. Regularly the ladies of Haverot present a Kiddish cup to all Bar or Bat Mitzvah youth. Haverot's fund-raising focuses on specific projects. Haverot has also made and donated the Tree of Life quilt that is used as an ongoing fund-raiser for CBI by selling leaves to honor the memory of loved ones. During the early 1990's the three-room classroom building was constructed with funds from donations. Until then, classes were held in small rooms in the synagogue, including the library. Following this construction, David Halimi and Jess and Rene Price built the planter boxes outside the classrooms. Rabbi Julie Hilton Danan became the spiritual leader of the synagogue in the summer of 2003. She served CBI faithfully until June of 2015 when she and Avraham relocated to New York's Westchester County. She is now the Rabbi of Pleasantville Community Synagogue. We wish Julie and Avraham nothing but the best. This series has been an overview of the history of the Jews of Butte County and how Congregation Beth Israel, their main synagogue, came to be. I hope you have enjoyed it and developed perhaps a deeper appreciation of our collective roots. Our present and future as a congregation continues to be nourished by those who came before us. Even though few people prospect for gold these days here, that 49er spirit remains alive and well in our people. Like the 49ers, it is with optimistic anticipation that we look into the future for whatever HaShem has in store for the Jews of Butte County. From CBI's History of the Congregation, http://www.cbichico.org/about. Excluding my edits and additions, this history was written by long time CBI member Jean A. Corwin of blessed memory.